Hi Aslain, our second clan was renamed from PONY2 to PONYS. The Icon for PONY remains the old. 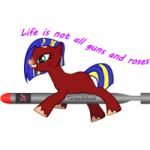 Server: EU Clantag: PONYS Clanname: PONY CLAN – Veterans and Rookies New Icon: Full Logo: Thank you and have a nice day.